This is a FREE webinar for IARP members. Space is limited – Register today to secure your attendance. Young adults living with mental illness are faced with unique obstacles to recovery. Meaningful work activities can build confidence and self-esteem, increase autonomy, and bring a sense of purpose to their lives. This webinar will address the barriers young adults with mental illness encounter when seeking, obtaining, and maintaining employment, and provide strategies for success. Understand the importance of meaningful work activities for young adults with mental illness. Identify realistic job goals and plan activities to meet those goals. Use a network of mental health professionals who can connect clients with other appropriate resources. Recognize appropriate workplace accommodations for clients with mental illness. Giana Ferrari Ayers is the owner of Ferrari Resource Group, Inc. Her practice provides customized support services for people of all ages and ability levels in the areas of employment, education and independent living. She focuses on providing support services for young adults with disabilities. Ferrari Resource Group offers family consultations, 1:1 guidance, and comprehensive workshops. 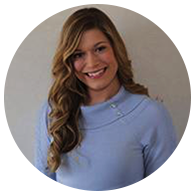 Giana is a Certified Rehabilitation Counselor and Licensed Clinical Professional Counselor, and she has worked in educational settings as a college instructor, vocational counselor, and disability services advisor for over 10 years. She is also an associate at The Eval Center and is currently a board member of IARP's Vocational Transition Services (VRTS) Section.